This short film is very close to my heart. I had gone through the struggle my entire life of figuring out my identity and who I wanted to be. Especially when it came to Sikhi. I have recently in the past four years have started growing my hair again and realizing so much on my own the beauty of keeping it and allowing to be our natural self. For women, it is especially difficult to live in a society where the definition of beauty has forced us to alter our own bodies. For the women that do keep their hair and wear their dastaars, I wanted to showcase that living in such a beautified-obsessed society, we can still look fashionable and trendy. This film is aiming to break stereotypes of women that do keep their hair and my admiration of how they chose to keep it. I also got the opportunity to ask each one of these girls in the film of what their experiences were and struggles of building that confidence. 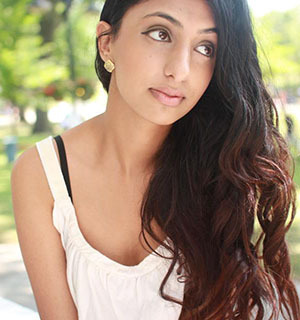 Toronto spoken word artist – Rupi Kaur is performing the poem in this film. Japjeet Kaur, Nimrat Kaur, Anoop Kaur V, Gurleen Kaur, Navjot Kaur, Sarpreet Kaur, Harnoor Kaur, Kirandeep Kaur, Prabh Kaur, Rupi Kaur, Anoop Kaur D, Pardeep Kaur, Jasmandeep Kaur, + all the sisters that were not able to participate in the film!